Momentous inventions are rooted in groundbreaking discoveries. That is why at ARCNL we venture into unknown territory, while at the same time looking towards industry for inspiration. EUV lithography is currently the most promising new technology for semiconductor production. 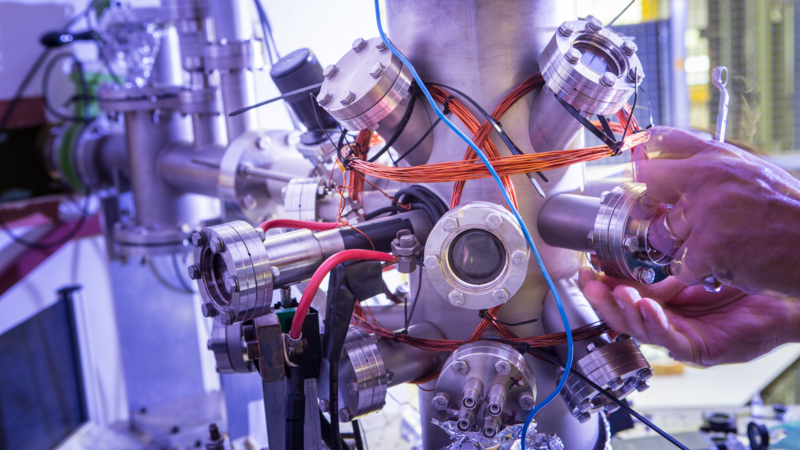 We therefore mainly focus on the physics that is central to the generation of high intensities of extreme ultraviolet light and its use in nanolithography. We try to be the first to understand and control certain physical processes at the atomic scale and beyond. Over time our program will evolve so that we can remain at the frontier of nanolithography research. This group studies surfaces, interfaces, and very thin films on the atomic scale. The knowledge it generates is relevant for the delicate optics and other essential components of modern lithography machines.